It is well-known that obesity tracks from childhood to adulthood most strongly of all cardiometabolic risk factors. 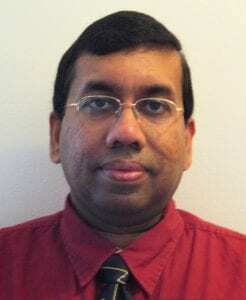 The goal of the research, lead by Wasantha Jayawardene, Assistant Research Scientist at the School of Public Health, and published in Clinical Obesity, was to determine the relationship of body mass index (BMI) and waist circumference (WC) with cardiometabolic risk (dyslipidemia, hyperglycemia and elevated blood pressure) in a large U.S. population ages 12–19 and demographic subgroups. The research team, which included David Lohrmann, Stephanie Dickinson, Senaka Talagala, and Mohammad Torabi, pooled 1999–2014 National Health and Nutrition Examination Survey data were analyzed (N = 23 438). In addition to standard cutoffs of BMI and WC, risk levels were identified for each laboratory variable: HDL‐cholesterol, LDL‐cholesterol, triglycerides, total cholesterol (category = lipids); fasting glucose, glycated haemoglobin (category = glucose); systolic/diastolic pressures (category =blood pressure). Within each category, being high‐risk on any of the variables was high‐risk; being borderline‐risk on any, without being high‐risk on any, was borderline‐risk. The team found that obesity severity was strongly associated with increased cardiometabolic risk, with prevalence of borderline‐risk greater than high‐risk. Anthropometric indicators in males and Hispanics, versus females and Whites/Blacks, respectively, had stronger associations with cardiometabolic risks. BMI and WC performed well for identifying adolescents with at least one borderline‐risk or high‐risk level measure for lipids, glucose and blood pressure; relationship strength varying by gender and race/ethnicity. Thus, to prevent or better manage clinical diseases of adolescents with elevated BMI and/or WC, all recommended laboratory tests are warranted. Note: The article was one of the journal’s top 20 most downloaded papers in the 12 months after online publication with 405 downloads. It means that the article generated immediate impact and helped to raise the journals visibility. Clinical Obesity is the official clinical journal of the World Obesity Federation, which links over 50 regional and national associations with over 10,000 professional members.